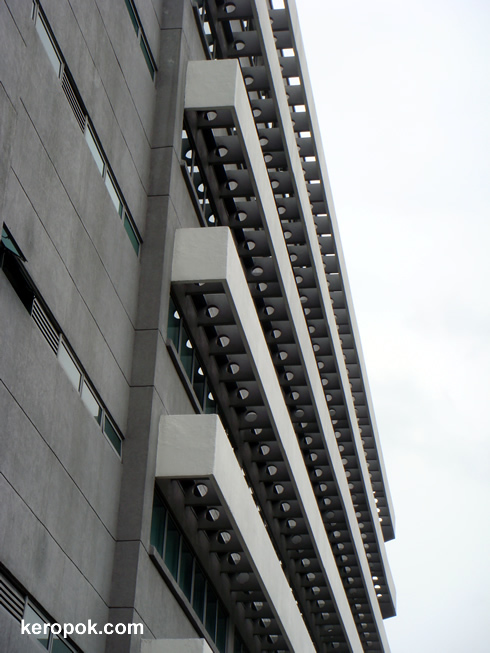 'Boring' Singapore City Photo: Cheese Building? Today, while passing by this building, I looked up! :) Merciless, you are probably right, and aren't we glad that there is such a place. Is it possible that the holes are for drainage? My ceiling was leaking for 3 years due to a clogged drain on th terrace above it (and the uncooperative owner who refused to do anything about it).